The use and limitations of 13C stable isotopes as tracers in animal experimentation was investigated using 13C-labeled bicarbonate to estimate CO2 production and energetic requirement of free-ranging goats. Goats were fed wheat hay (Triticum aestivum; C3) or Old World Bluestem hay (Bothriochloa caucasica; C4; OWBS) ad libitum for 21 d. Parotid salivary ducts were cannulated for saliva collection. Isotopic bicarbonate (13C) was infused at a constant rate into the peritoneal cavity. In exp. 1, saliva samples were obtained at successive 2-h periods for 20 h to establish the time to achieve equilibrium. The half-life of bicarbonate was 2.9 h for animals consuming the wheat diet and 4.1 h (P < 0.06) for animals consuming OWBS diet. The time required to reach equilibrium was 12 h for animals on the wheat diet and 16 h for animals on OWBS diet. The error in the technique arising from animals consuming C3 vs. C4 species (which have different endogenous 13C contents) was studied in exp. 2. If species composition (C3 vs C4) of the diet remains constant within 10%, the error is negligible. In exp. 3, estimation of CO2 production from continuous saliva samples had a lower coefficient of variation (6.3 vs 10.0%) than measurements based on spot serum samples. 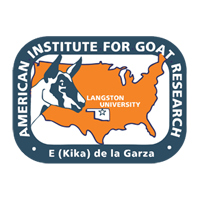 Energy expenditure of goats in stalls consuming hay ad libitum was similar to that of ad libitum-fed sheep at similar body weights. The 13C methodology appears to be a promising method for measuring energy expenditure of grazing animals. Short Title Can. J. Anim. Sci.